Headquartered in the heart of San Diego’s biotech community, Biotix is a world-class manufacturer of laboratory consumables and liquid handling solutions. Even the smallest detail can make a difference, so we pay careful attention to everything. From our precision-engineered manual and robotic pipette tips, to our recyclable reagent reservoirs, we’re always looking for new ways to further your research capabilities by providing better tools. A core value at Biotix is to foster collaborative relationships with customers and partners. By truly understanding the changing dynamics and unmet needs of the scientific community, Biotix is able to surpass industry standards for the quality and performance of its products, services and support. 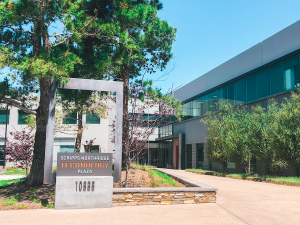 The Biotix Corporate Headquarters is has moved as of April 2019 to Scripps Ranch! The new, state-of-the-art facility is home to the Biotix Executive Team, Product Development, Marketing, Customer Service, and Accounting. As we continue to grow, more space is needed, and as a result, the Distribution Center has moved to a larger location in Otay Ranch. We are continuously working as a team to bring you innovative life science products that serve your research needs. 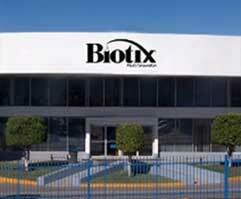 Nestled in the center of the Medical Products Cluster of the Californias along with other leading U.S. companies such as Gen-Probe, GE Healthcare, and Medtronic, Biotix operates a 70,000 sq ft. manufacturing facility in Baja California, Mexico. The facility is both ISO 9001:2015 certified and FDA registered as Micro Pipette, Device Class 1. Biotix is a member of the American Society for Quality (ASQ), San Diego Chapter.